Review: TonyMoly Cutie Beauty Tomboy Chris BB Cream - Cherry Colors - Cosmetics Heaven! It's been really a while (since May 2011) that I've been postponing this review, because I had really bad skin back in May. I was searching for a BB cream that could cover the mess I had on my skin (and believe me it was terrible! ), but I failed to do so. This multi-functional BB cream with non-comedogenic ingredients is safe for sensitive skin as well as delivering anti-wrinkle, whitening and sun protection effects. And this BB cream makes the skin naturally radiant. I decided to buy the blue tube which is for oily skin because I was already sweating like a pig. Yup. But lets move to the pictures, while I give you some more info about it. The BB Cream comes packaged in a lovely blue tube. What's not to love here? The design is practical and pretty. I have nothing more to add. The cream has a thicker texture, it's not really easy to spread and work with. It really reminds me of Bourjois Bio Detox Foundation. So it's not super easy to work with, plus it dries in no time (in less than 1 minute). It offers good (great) coverage, but I wanted to put it to a test. 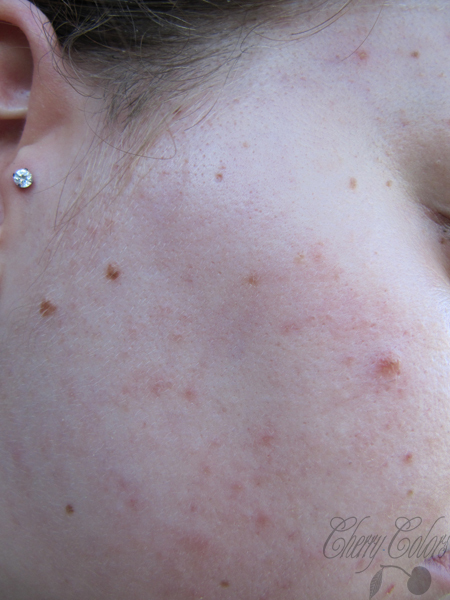 At that time my skin was in terrible shape (so it's hard for me to post these photos but I wanted to share them anyway for the sake of the review) and there's no harder test than to use it on a really BAD skin! A miracle had happened! =D Okay not really =P. If you apply the skin on dry areas you get patchy sections, which isn't good looking. 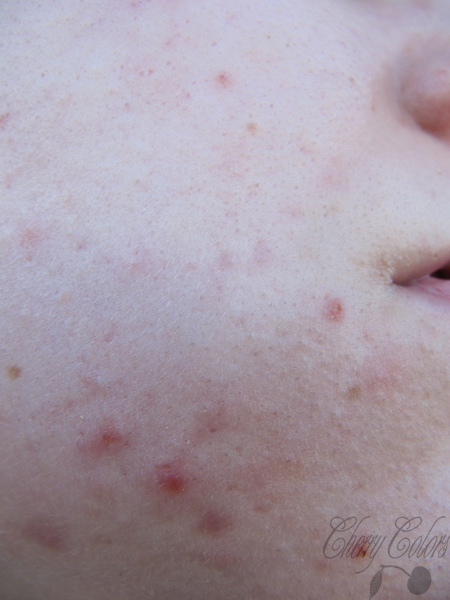 So it's not the best for dry areas/skin even around acne it's hard to work with (you know when they sometimes dry up?). But on other areas it works greatly, but still. It's not the best for problematic skin. The BB cream lasted on me for a good couple of hours (lets say 4 because I was sweating like a pig!) and then I'd have to reapply it on the problematic areas or just apply some concealer there. The only thing I really disliked about this BB cream was that it broke me out. Oh boy it broke me out! It was almost as if I were using Bourjois Bio Detox. I loved that stuff but it broke me out so badly that I had to stop using it. So nope, this isn't for me :(. Even if I love the brand in general and the packaging is perfect (+ it offers great coverage) I can't love the product itself. It broke the hell out of me and I can't use something that clogs my pores. So sadly it's a no no for me :(. Actuallys I've been using it for a week now and it didn't break me out! Maybe it was the humid weather?